Even the best sales reps will eventually encounter the boogeyman of sales: the dreaded deal killer. Picture it. A board room. Your sales rep is selling to four people with authority to buy. The rep has three of them on board. Then (*cue creepy organ music*) the Deal Killer chimes in. Oh no, what is it? Your sales rep pauses. Oh no, the deal is looking as dead as a sad, sagging jack-o-lantern on November 1. The deal killer is the antagonist of the sale, the person cutting down attempts to close, hacking away at carefully constructed pitches, withholding key information, or planting seeds of doubt in other decision-makers’ minds. What happens when the deal killer is that one person in a group of decision-makers who just isn’t sold? Their skepticism and doubt starts to cloud the others’ judgment. When your sales team is prepared for this type of deal killer, they can still save the sale. I mean, in this scenario the salesperson already has three people on their side. It’s just that one last naysayer holding up the close. Why are they so negative? What’s their problem? That’s the mystery your sales rep needs to solve—and quick—before the deal completely falls through. and revive a near-death deal. The deal killer may need your sales reps to go an extra step further in creating a trusting relationship. Whether that distrust is based on previous experience or the deal killer simply has a wary nature, your sales reps need to show, not tell, the prospect that they’re competent and trustworthy. It might seem basic, but building trust by being perceived as ‘good at sales’ (not bumbling and inept, but also not too slick either) is part of a salesperson’s job. And it doesn’t just magically happen. Your sales team needs to be ready to start the trust-building process from the first touch point. It’s very difficult to build trust with and create value for any lead without preparation and forethought. Leads will expect that your sales reps have knowledge about the lead’s company and industry. It shows disrespect to show up unprepared, so even with the best fit, it looks like the sales rep is wasting their time. You can’t just wing it. Make sure your salespeople are doing more than just a cursory glance through the prospect’s company website, social channels, news, and press releases. They should also look up some of the company’s key leaders and decision-makers to get insight into some of the topics and issues that are on their minds. They should also research the lead’s industry, competitors, and customers. It’s actually the opposite. The psychology of sales shows that active listening and mirroring behaviour are the best ways to make a connection between a sales rep and a lead. Sales reps are usually good at asking questions. Actively listening to the answers is what’s going to help them build a relationship. In active listening, sales reps should be repeating back the information they’ve collected. This shows that the salesperson is understanding what they’re being told and provides the lead with an opportunity to clarify or add details. And, your sales reps should be their authentic sales selves. It’s important for sales reps to know how to make the behavioural adjustments that will build rapport, without having to completely hide or alter their personality. Slight alterations keep it from feeling fake. We all shift our behaviour at times—how you behave with friends compared to at the office is one example. For some people, there would be little difference in their behaviour between those scenarios; for others, it could be like night and day. Mirroring is one of the easiest ways for sales reps to alter their behaviour on a small scale to build rapport. Sales reps follow the lead’s cues. They speak more softly if the lead does. They lean forward if the lead is. This killer whale agrees if you agree. For some, this comes naturally. For others, it’s more work. Identify and work with any sales reps on your team who need training in this area. Building trust can be construed as keeping the sale positive and optimistic. A sales rep doesn’t want to be the bearer of any bad news. It seems counterintuitive, but talking about negative situations can make prospects trust your sales reps more. If they’ve been burned by another sales rep, company, or solution in the past, it could make them less trusting of your sales rep now. How can your salesperson bridge this gap? By asking questions to zero in on these negative past situations, figuring out exactly what caused the previous disconnect, and solving it. Maybe they felt pressured into making a decision before they were ready, which they then resented or regretted. Knowing how the distrust came to be can help your rep counteract it in their current sale. Another way to counteract any initial distrust is to be consistent. Make sure your salespeople are doing what they say they will do. If they say they’re going to send over some specs by end of day, that email needs to hit the prospect’s inbox by 5 pm, at the latest. If the prospect says that they’d like to be contacted on their office line, make sure no one on your team is blowing up that person’s cell. The words your sales reps use can also add to, or detract from, any trust they’re building with leads. Some common offhand words or phrases give a negative or insecure vibe to what you’re saying. 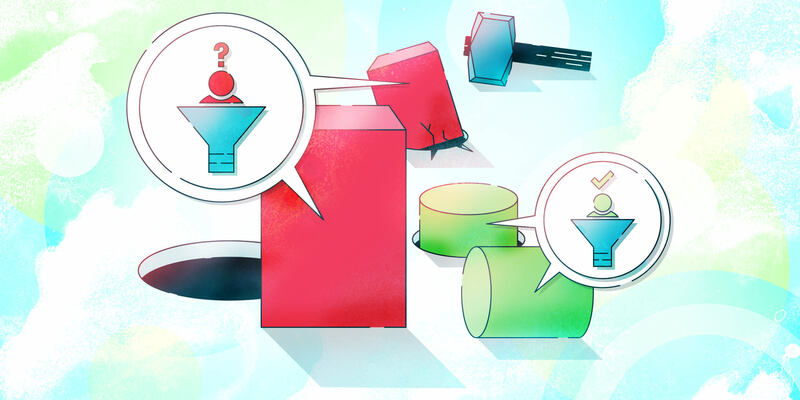 For example, asking “Does that make sense?” when explaining some aspect of your product or service could seem like, at least on your end, you’re checking in to make sure everyone is following your train of thought. When you’re sitting in on sales reps’ calls, watch out for other doubt-filled filler words, like sort of, pretty much, kind of, and anyway. Think about it. Would you take any of the tips in this post to heart if they were headed, “Anyway, you pretty much basically do the homework” or “I mean, kind of establish some rapport, maybe”? When a deal killer tries to put the kibosh on the sale by saying that they are fine with the status quo, that’s a signal for your sales reps to dig a little deeper. The deal killer has probably considered the risks of making a change, like exiting the previous contract, possible downtime as everything switches over, and retraining employees. And the potential pitfalls and the uncertainty of it all are scary enough for them to try to send your salesperson packing. But has the deal killer considered the risks of not changing? What’s really holding them back? As anyone who has ever dealt with a change-averse person can attest, it sometimes doesn’t matter how many facts or statistics you’re using to influence them. There’s a fine line between persuasion and straight-up nagging. The difference is in the eye of the beholder. Your sales rep thinks they are selling and persuading the prospect on the reasons to buy. However, if the prospect does not want to make any changes, they’ll see the sales rep as a nuisance and kill any chance of closing. As this article from Psychology Today points out, continuing to give information to someone who already has all the facts comes off as nagging. This is known as reactance: our natural reaction is to resist this change and assert our independence. So the more a sales rep attacks a resistance to change, armed with facts and figures, the more a change-averse deal killer is going to retreat away from a deal. Any successful sales rep knows the importance of asking questions to determine the basic qualifiers: need, budget, timeline, and so on. According to psychologists, asking questions is also the key to getting people on board with change. What made you consider making a change in the first place? What are the risks of *not* changing? If this change were as easy as snapping your fingers, would you want to make it? What makes it so hard? Similar to bringing up negative past sales situations, your salespeople need to know about any previous solutions the lead has used to solve the particular pain point. Have they tried a solution in the past? Are they currently using a competitor? What is it about their current or past situation that’s making them seek out a new solution this time? Figure out where the previous product or service let them down. If they mention that they didn’t get the level of customer service they wanted, your sales rep can suggest your package add-on that includes a dedicated customer service rep, or talk up your company’s response time guarantee. Digging into this information will also help the sales rep avoid any potential pitfalls and not make the same mistakes the preceding company did. In particular, sales reps should watch for any competitor weak spots that your company is better positioned to resolve. The sales process brings out a full range emotions in people. Even in B2B sales, even when there are huge corporations involved, the heart of it is still people selling to people. Not entities, not companies, not robots (yet). Real people with real feelings. Deal killers are no different; they have a lot of swirling emotions. The trick is figuring how to use those feelings to the salesperson’s advantage. Identifying each underlying emotion at play and calming the deal killer’s mind may sound like armchair psychology, but it’s important for your sales reps to understand. Some people are just worriers and are going to worry no matter what. Some of the worries might be valid. Others might be exaggerated or complete fabrications. During the sales process, your sales reps can help keep any worry-wart tendencies in check. Don’t let things go off on too many tangents. That’s how you get into crazy hypotheticals that may never happen, but will only serve to get people in a tizzy. Do make sure sales reps are addressing legitimate worries, like the lead is concerned that solving this particular pain point with your solution might cause other pain points to spring up. For example, they invest in your new 3D widget printer. What they’re actually worried about is having to retrain everyone on the new piece of equipment. With the insight about training concerns, your sales rep could stress your comprehensive onboarding and training program that will walk everyone through it. See, there’s nothing to worry about. If you know there will be emotion involved in the sale anyway, your sales reps might as well use it to their advantage. Solutions and deals are made to move people away from pain. Solving a pain point is enticing, but to appeal to even more emotions sales reps should be sure to include some pleasure. Take Proposify’s online proposal software as an example. Sure, Proposify streamlines the proposal process, but it also helps make those proposals look modern and professional. This showcases the practical (saves you time and effort) aligned with the pleasurable (a beautifully polished end product that impresses clients). Your salespeople can use more negative emotions to their advantage, too. If all they are hearing are the positive aspects, the deal killer might be skeptical, waiting for the proverbial other shoe to drop. Sales reps shouldn’t be afraid to tell the prospect what they need to know, not what they want to hear. If the deal killer is concerned about training time to implement your product, don’t tell them that it’s plug-and-play if it’s not just to ease their mind and close the sale. By addressing it all—the good, the bad, and the ugly—prospects will know that there’s no ‘catch’ coming. They’ll trust that your sales rep will put all the details in front of them so they can safely make an informed decision. When deal killers are firing off sales objections, sales reps can use them as an opportunity to find common ground. Sales reps should be wary about making a competitor into a common enemy, though. Comparison is fine. It’s completely fair to call attention to the fact that you offer a feature that the competitor doesn’t. It just has to be true and up-to-date, otherwise your sales reps will erode that hard-earned trust. Maybe the deal killer is just a naturally doubtful person. Perhaps they’re distrustful of sales reps in general. There are a few bad sales apples out there who spoil it for everyone else. Your sales reps are likely already using case studies and referrals to convince leads about the value your solution provides. Using both logic and emotion when presenting case studies will amplify their impact. Show the logical by choosing case studies featuring companies similar to the one your sales reps are pitching. And play on those emotions by including a couple of case studies of companies that your lead might aspire to be like. I like this example from entrepreneur Jen Dziura. She spoke at a small business conference to plug her digital marketing company. She explained, in detail and with handouts, how the attendees could DIY their own marketing online, from start to finish. So, everyone went home, rolled up their sleeves, and got to work? Nope, the attendees contacted Dziura to ask about getting her company to set up their marketing for them. Because she had clearly explained to them how she does it, without any smokescreens or mystery, the potential clients saw the value in hiring her company. Because she’s the expert. Free trials, samples, and high-value content, like an e-book or a white paper, all show leads enough “behind the curtain” proof that they trust you enough to go the rest of the way with you. It might not be strong enough to guilt themselves right into a deal, but it might make them look more favourably on your sales rep or get them to commit to a meeting. Speaking of committing, get your sales team used to using micro-commitments to build up to the big commitment of signing a contract. Sales reps might crow about getting a prospect to sign a deal on the spot, but that’s usually the exception, not the rule. 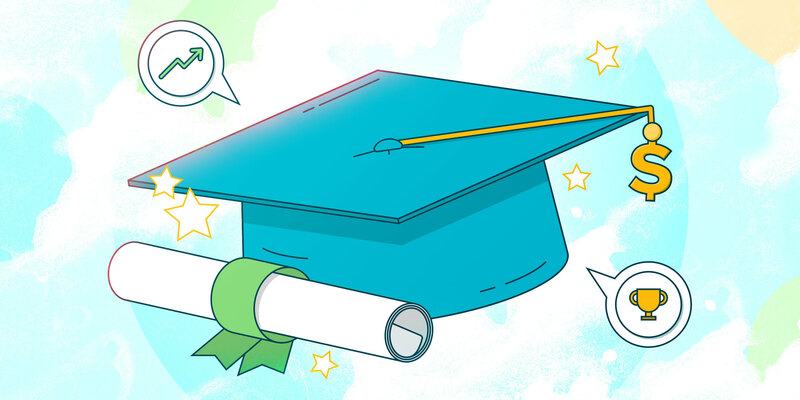 Get sales reps to pay attention to the signposts of commitment along the way—signing up for a webinar, requesting a demo, taking a call, meeting with other stakeholders. There might be a lot of doubt involved on the prospect’s side if things go from 0 to 60, but if there are stops along the way, it makes the process more comfortable. Sometimes those deal killers are going to need an extra level of authority. This could be you, stepping in as sales manager, not to take over but to provide that back-up for a particularly deadly deal killer. Bring in other experts as required to quell doubt. Have an existing customer provide a referral. Loop one of your company engineers in on a call if you’re expecting some tough technical questions, or anyone else on your team who could offer expertise. 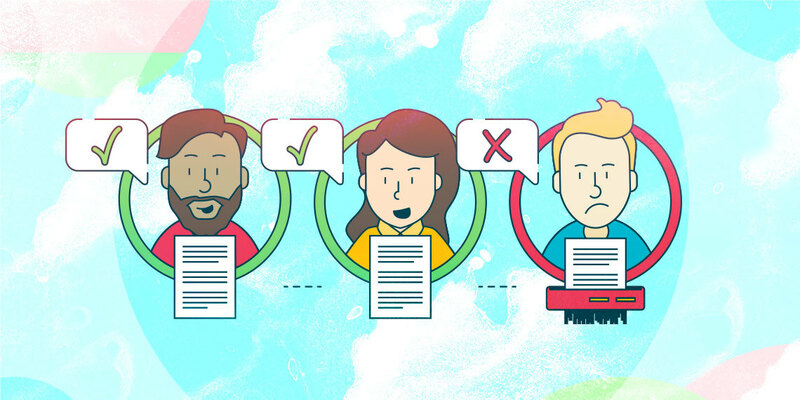 This has the added benefit of showing how robust your team’s expertise is and how your employees support each other to find answers or solutions for your customers. Using these tips, and a bit of logic and emotion, the deal killer’s objections will be dead in the water. And your salespeople will be rejoicing. Content specialist at Proposify. Formerly a magazine editor, forever a writer, and always curious. Ardent fan of trivia, true crime podcasts, cheese, and '90s figure skating. Get More Done. Close More Deals. Proposify improves sales productivity so your team spends less time creating proposals and more time selling. Your days of painful proposals are over. 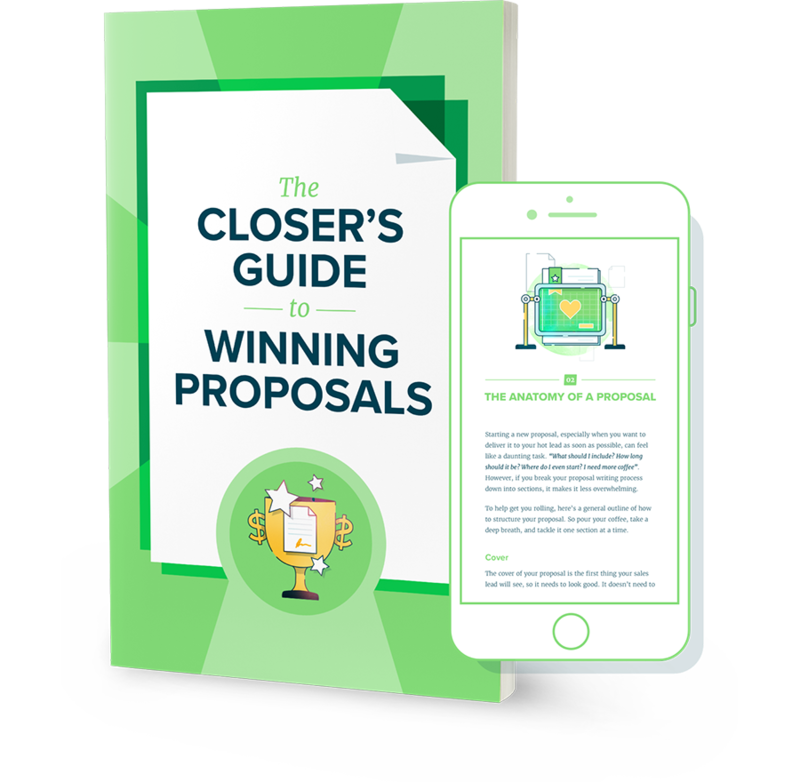 From creation to close and every deal-making moment in between, discover better ways to create killer proposals that close faster.